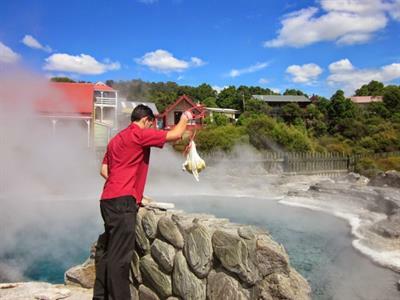 Your tour begins when we greet you just outside the port gates and introduce you to your guide for this small group tour to see the highlights of Rotorua's amazing geothermal landscape. 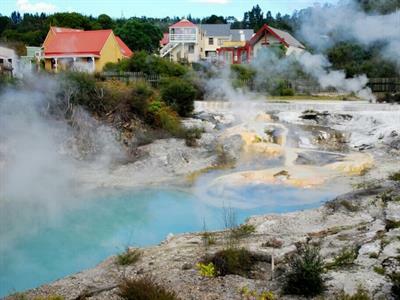 The first destination is the geothermal wonderland of Wai-O-Tapu, here we will first experience the eruption of the world famous Lady Knox Geyser,which erupts each day around 10.15am. You will learn how this natural geothermal event can be so prompt with its display each day, for the benefit of the 100's of visitors. 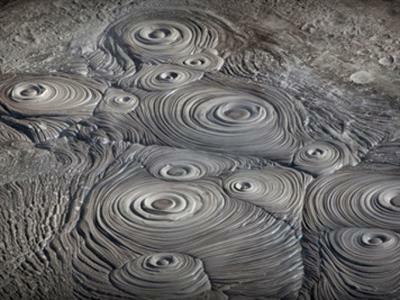 It’s just a short transfer to the main part of Wai-O-Tapu, which Trip Advisor says "One of the 20 Most SURREAL Places in the World" Here your guide will take you on a slow amble to see the unique landscape sculptured out of volcanic activity over thousands of years. Wai-O-Tapu is considered to be New Zealand’s most colourful and diverse geothermal sightseeing attraction. Time for a light lunch [your cost] at the Wai-O-Tapu cafe which overlooks native New Zealand forest before a short drive back to Whakarewarewa geothermal valley and location of The Living Maori Village, our destination for the afternoon. Here we will be met by our Maori guide who will take us through this unique destination on a one hour guided walk of the village, where for over 200 years the Tuhourangi/Ngati Wahiao tribe have welcomed visitors into their backyard. You will experience an authentic Living Maori Village where people live on a daily basis using the natural resources to cook, bathe and heat their homes. We also include a traditional cultural performance set in the heart of the village where you will see the fearsome Haka, plus dance, song and much more. 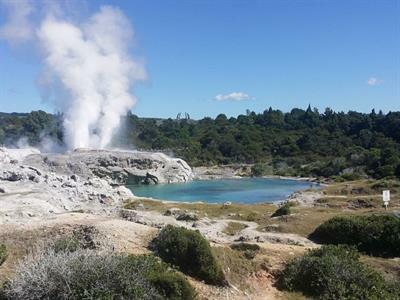 You will be able to view the geothermal wonders of Whakarewarewa Valley, including the world famous Pohutu geyser, boiling mud-pools, steam vents and bubbling pools with names such as Parekohuru and Korotiotio. 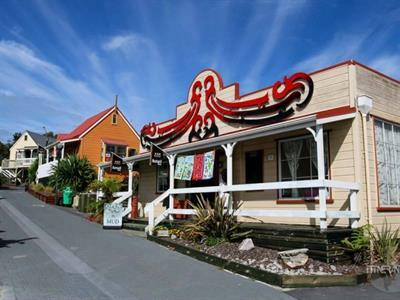 Before returning to Tauranga we will show you highlights of Rotorua such as the Government Gardens, the Historic Bath House, Rotorua Museum, the Blue Baths and Rachel's Pool.